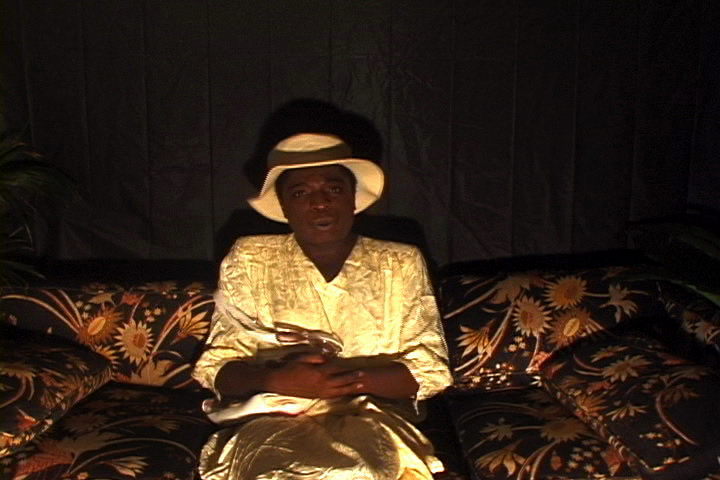 Kalup Linzy is widely celebrated for his indelible, larger-than-life personae and soap opera parodies, which have, by design, occluded their real life origins. Behind the melodramatic veneer is Linzy’s own family story, set in Stuckey—a rural town of only several hundred people in Lake County Florida, where his great- and great-great-grandmothers settled in the late nineteenth century. This historically black community offered residence to steel mill workers who were racially segregated from nearby Mascotte. As much a family legacy as Stuckey is The Guiding Light, the longest running serial in broadcast history. Linzy’s great-grandmothers followed the show on radio, and the tradition was passed down; he watched with his grandmother, whose hearing impairment made him hyper aware of the production’s artificial sound and image qualities. He later combined this with the artificiality of race, class, and gender stereotypes for his signature approach: a unique confluence of television scripted drama, video and performance art, stand-up comedy and John Waters, featuring a large family tree of vividly drawn characters such as Labisha, Nora Lee, and Taiwan, enacted by Linzy. Linzy’s highly structured video productions, written, directed, and designed by him, seem to be the antithesis of the raw footage captured so effortlessly by home video cameras. Yet his earliest video recordings, documenting scenes of his community enjoying holiday gatherings, staging an annual hometown festival, or socializing at a homegrown dance club, show the origin of his artistic material. Stuckey’s extremely small population and self-containment nurtured Linzy’s interest in social identities and community dynamics, and video gave him a direct way to engage in television syntax, shaping the world he observes into a riveting serial of his making. This program is made possible in part by public funds from the New York City Department of Cultural Affairs, in partnership with the City Council; and New York State Council on the Arts with the support of Governor Andrew M. Cuomo and the New York State Legislature.